So, Mt. Gox is dead and gone. In as much as my heart does bleed for those who lost their money there, I’m also happy we have seen the last of them because they were largely responsible for many negative blog posts by journalists who who seemed to think that Mt. Gox was Bitcoin. I see the Mt. Gox issue as a good test to see if bitcoin (the currency) will survive this major incident and come out stronger than it was before. There is also a lesson to be learnt to learnt by those who still think that like Mt. Gox to keep their money for them. And this lesson is that this trusted authority is probably going to let you down. Now, let’s take a step back and look at the reason why Satoshi invented Bitcoin. Satoshi wanted to use a decentralised ledger to replace Trusted Authorities. Before Bitcoin, it was impossible to prove ownership without verifying against a trusted third party authority. This what Computer Scientists call the double spend problem. It’s only when you understand that point that you can start to realise why Bitcoin is the most important invention in the history of the world; After the internet. Just look at their track record: For decades, Central Banks all over the world have used inflation as a means of stealing from the people and giving to the government. And they use that money on wars, buy Range Rovers – stuff you would never approve of even if they asked you nicely. Do the math: if inflation’s is 2% per anum, for instance. And we know that inflation comes when the Central Bank prints more money. Then at the end of the year, your savings are worth 2% less than they were worth at the beginning of the year. That 2% has gone to the money the Central Bank has printed. This can get out of hand. Trusted authorities also have a proven track record of being bad stewards of depositors’ funds. TRUST Bank was shut down (for the second time) last year for abusing depositors funds. A year before that it was Genesis Bank, Interfin Bank and Royal Bank. The lesson here is that the trust model we are using today is broken and unless we learn from history, history is going to keep teaching that lesson to us. Do we really need a central Companies Registry anymore? When I registered my company with the companies registry a few years ago, it cost me a few hundred dollars. Add to this that I was asked to provide a physical address for to be registered even though ours was an entirely internet based business where everyone on our team working from home. In the future people are going to be using Bitcoin to do it a little different. Bitcoin allow people to reach a consensus without the need for a central authority. Thanks to Bitcoin, people can now create Distributed Autonomous Corporations (DACs) which are basically companies in the cloud and based on an algorithm. Governance and decisions in DACs is done by distributed (fair) voting by shareholders who are distributed on the blockchain, and all the accounting is transparent and done on the blockchain. The biggest fear of the amateur entrepreneur is that someone us trying to steal their idea. So they spend more time and money and/or money, trying protecting the idea, than they should. This also costs them many opportunities. With time, they learn that no one will agree to sign their NDA. And that they cant patent or trademark an idea or business process. So how can you prove that you were the first to come up with the idea? Well, before Bitcoin, this was hard but today people are using the Bitcoin Protocol for proof of ownership. Here is how it works: You put you put your idea in a document. Note that this also applies to anything digital so it can be an audio file or a logo whose ownership you want to prove. You then create a cryptographic digest of that file and then use that hash as the alias of the bitcoin address you are about to send a small payment to. As soon as you make a payment to that address, a timestamp is permanently put on the Bitcoin blockchain so anyone anytime in the future can prove that you were indeed the original owner. Whether they trust you or not. ZISPA is the central (trusted) authority for registering .co.zw. I own a few of those domain names and I still have to pay $20/year for every one of them. Besides the costs, I’ll illustrate the problem of having a central trusted authority (like ZISPA) with an example: It makes it easy for the government to hack into my email account or intercept traffic to my website. To do this, the government would just need to hand ZISPA a subpoena instructing them to point my domain to a name server or host they can control. The would have no option but comply. Namecoin is one bitcoin-based technology I’m following. It uses a blockchain to provide a decentralised DNS system where domain name owners don’t have to worry about the government or third parties censoring them or intercepting their DNS. I have seen other people experimenting with using the Bitcoin Protocol for such things distributed (fair) voting, insurance, escrow (using mutisig transactions), distributed stock exchanges and notorisation. People are calling all these alternative uses of the Bitcoin Protocol, Bitcoin 2.0. The most interesting Bitcoin 2.0 project IMO is Ethereum. And I’m going to be following Ethereum very closely this year. Currency was just the first app built on the Bitcoin Protocol. Bitcoin can be used for any system that relied on Trust. So we don’t need to trust anymore. Because we can just verify. Too many grammatical errors detract from the article. Better effort next time, please. I became a Bitcoin Evangelist because I don’t trust the government and politicians to put policies which serve my interests and not theirs, I don’t trust the regulators and the Central Banks because we have had many cases of banks abusing depositors funds but we have had zero arrests and finally, I don’t trust the banks because they have a history of failing to meet their statutory reserve requirements and charging unreasonably high fees. I can Trust Bitcoin however because I can look inside the source code myself and confirm that the algorithm follows the rules that we have agreed on. I would trust a government that uses Bitcoin because I know that all their transactions are on a transparent blockchain so I can follow the money myself. I would trust a Central Bank that has adopted Bitcoin because I know that they cannot just print more money at their own discretion to cause inflation and I would trust a bitcoin bank because I can verify their solvency on a public and transparent blockchain so I would know that my money is safe there. Personally, I don’t care what the price of Bitcoin is. Even if the currency fails, Bitcoin is still useful – it is not just a currency and that is what I wrote about in this article. I can see that you still have the misconception that the price of the US dollar is pegged against gold. That was true before 1971 but for the last 43 years, the US dollar (as with any of the 193 fiat currencies) has not been pegged/based on anything. (See: http://en.wikipedia.org/wiki/Nixon_Shock). Fiat currencies derive their value from the governments and/or Central Banks. 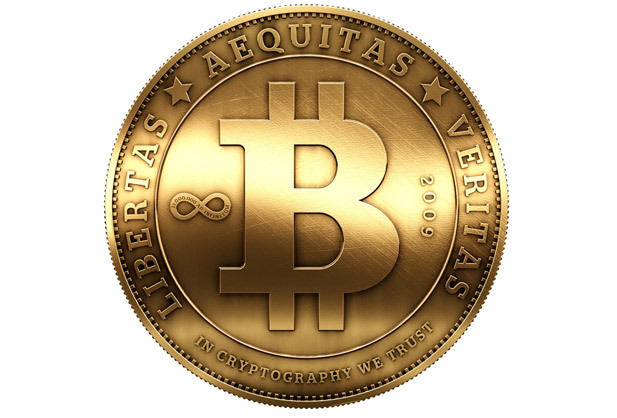 Bitcoin, in contrast, derives it’s value from the people. This is why it’s value grows whenever more people start using it. When you look at the changes in it’s price over a few days, it appears to be fluctuating but when you compare the price over a few years or months, you see that the price is generally going up as the number of adopters grows. Anything new is volatile King. This is even more so for new currencies. Bitcoin is no exception. Remember when you got your first mobile phone. I remember mine and it had an Econet line. Those days calls would drop all the time and sometimes you couldn’t even get through – the network was was very unstable. But the engineers at Econet kept improving and today it has stabilised. Bitcoin will keep improving and will getting better. Gold has a higher likelihood of getting to a price of zero than Bitcoin because Bitcoin has more utility than Gold. you live in a delusional world. stay off the internet and get tor’ing. Bitcoin is about to crash. At the end of the day you cant throw out “Trusted Authorities” just like that, i get what Bitcoin is doing in the currency market and thats great, but Trust Authorities are Trusted for a reason (in most cases) – they have proven there reliability as a source of information over time or information verification, thats why wikipedia is so successfuly – mainly because its been around for so long that its the most commonly accessed reference site on the internet. The issue with something like a companies registry is something you missed – Laws of the land – at present its impossible to register for ZIMRA tax if you don’t have a filing of company paperwork with the local company registry. such laws could be changed though, whether thats likely to happen in ZIM anytime soon is a totally different matter – i’m reasonably confident that the chances of such changes are 0% likely! Yeah, court order is what I meant. Thanks for that.